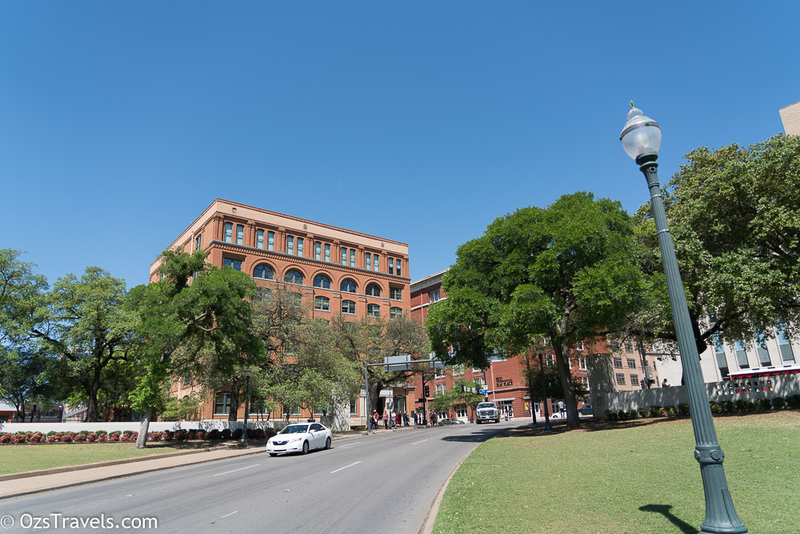 One of the mandatory sites to visit in Dallas Texas is Dealey Plaza, the site of JFK’s assassination. 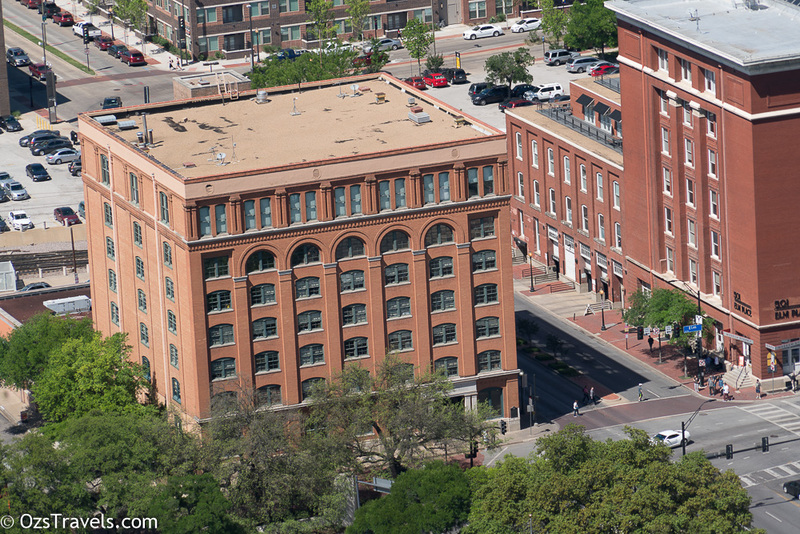 Whilst there a lot people, including me, also visit the 6th Floor Museum which is in the building formerly known as the Texas Book Depository. 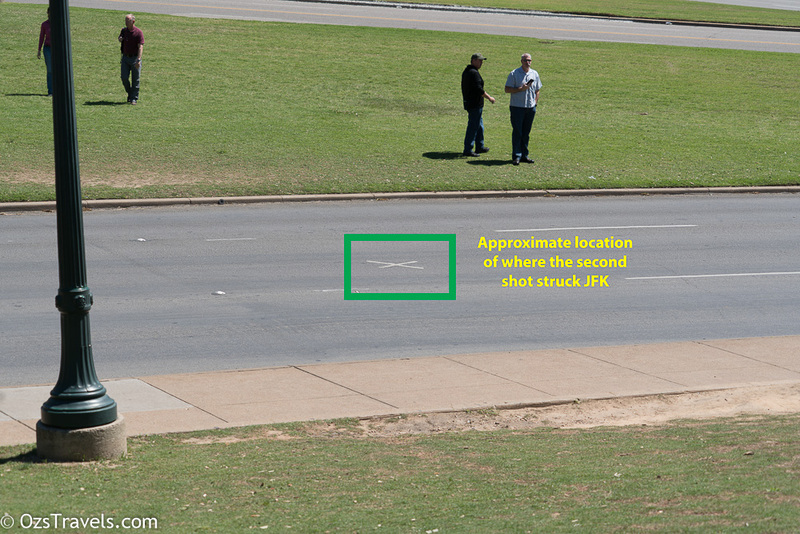 On Friday, November 22, 1963 at 12:30 p.m John Fitzgerald Kennedy (JFK) the President of the United States of America was assassinated in Dealey Plaza, Dallas Texas, by Lee Harvey Oswald. 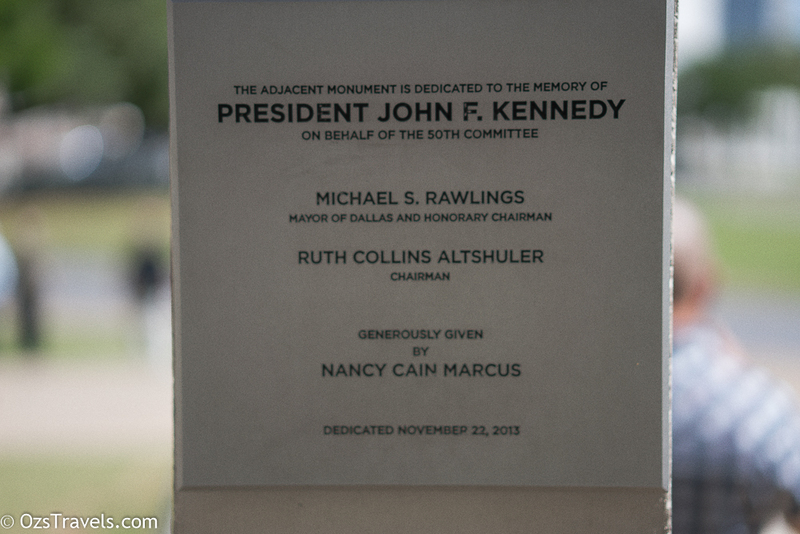 JFK was the 35th President of the USA and was 46 years old at the time of his death. 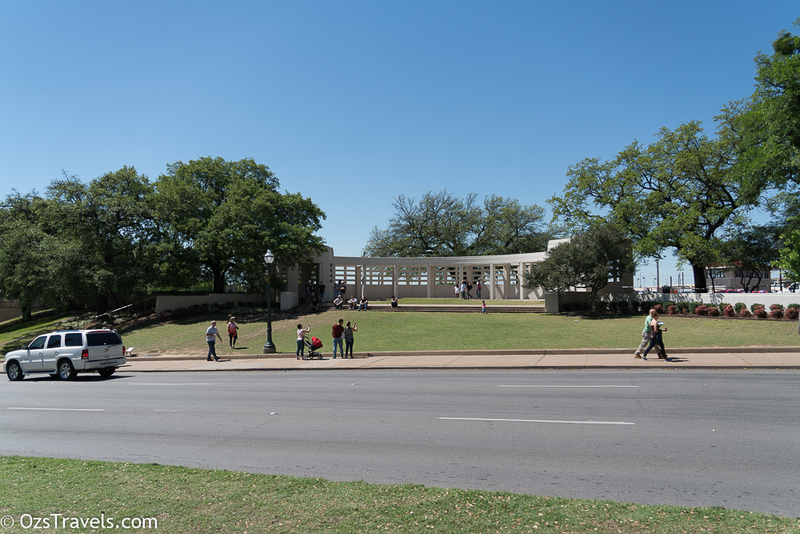 Not far from Dealey Plaza is the John Fitzgerald Kennedy Memorial. 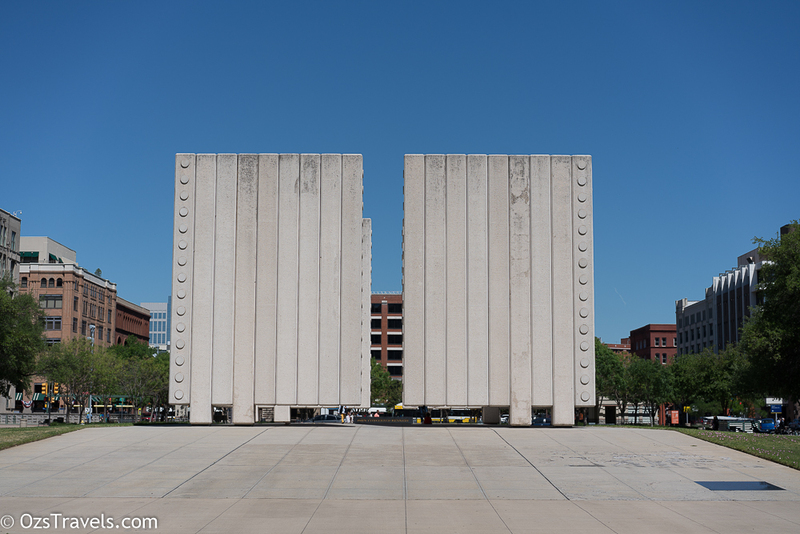 Built in 1970 according to a design by Philip Johnson, apparently a close friend of the Kennedy Family, and was approved by Jackie Kennedy. 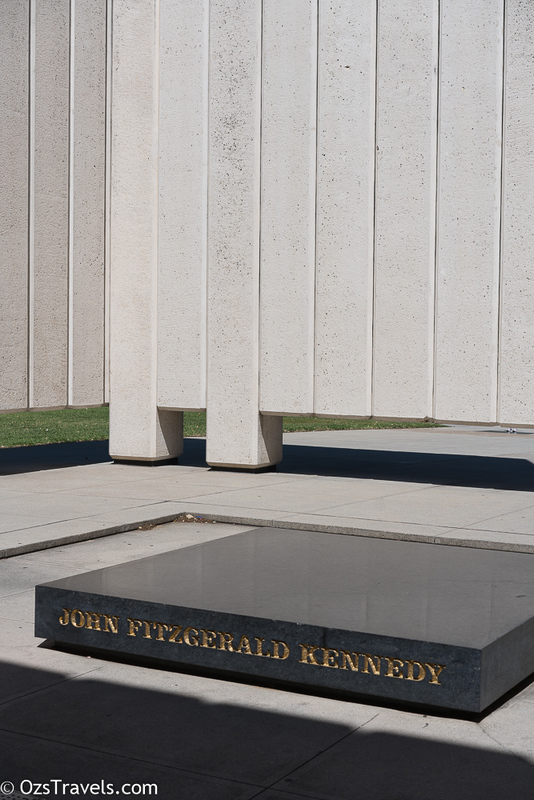 The memorial is a square cenotaph that is 9m high and 15m wide, the walls are composed of 72 white pre-cast concrete columns that are raised about 25cm from the ground. 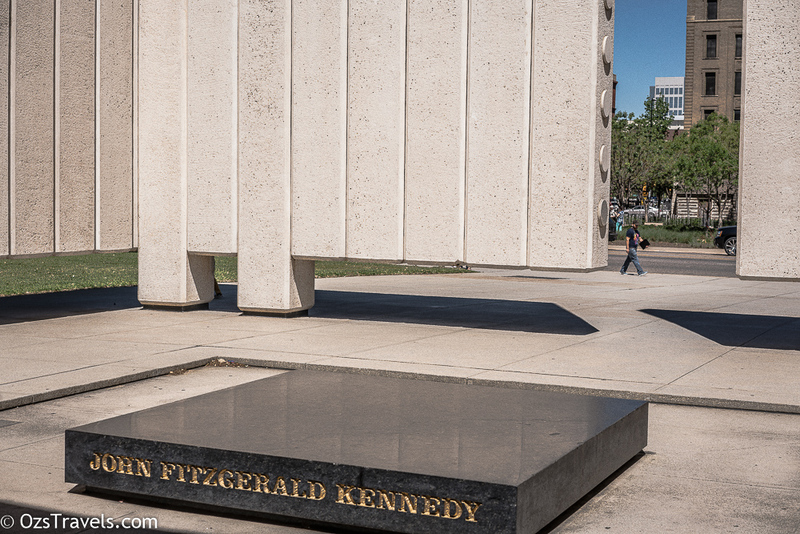 I like this simple, striking and peaceful memorial. 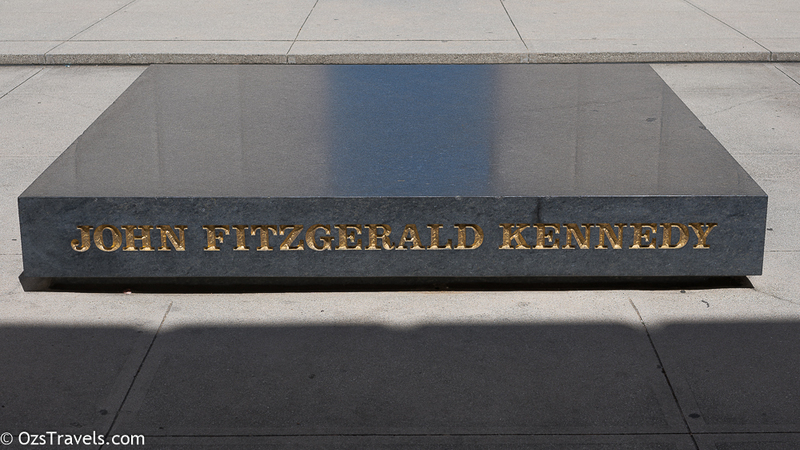 The joy and excitement of John Fitzgerald Kennedy’s life belonged to all men. So did the pain and sorrow of his death. 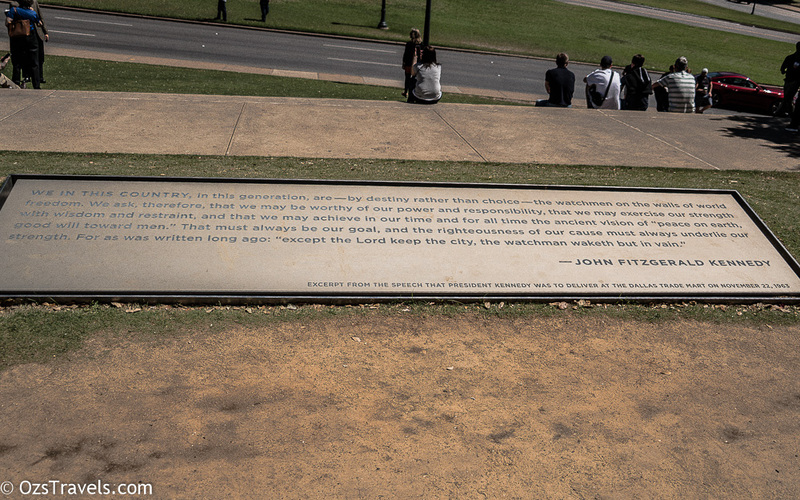 When he died on November 22, 1963, shock and agony touched human conscience throughout the world. 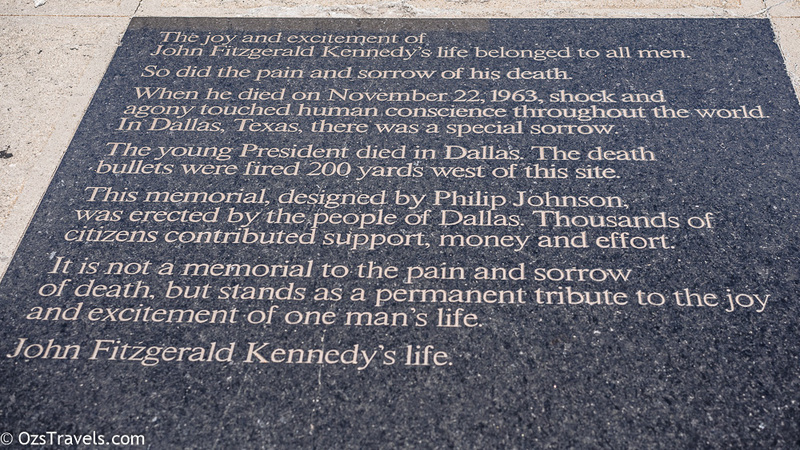 In Dallas, Texas, there was a special sorrow. 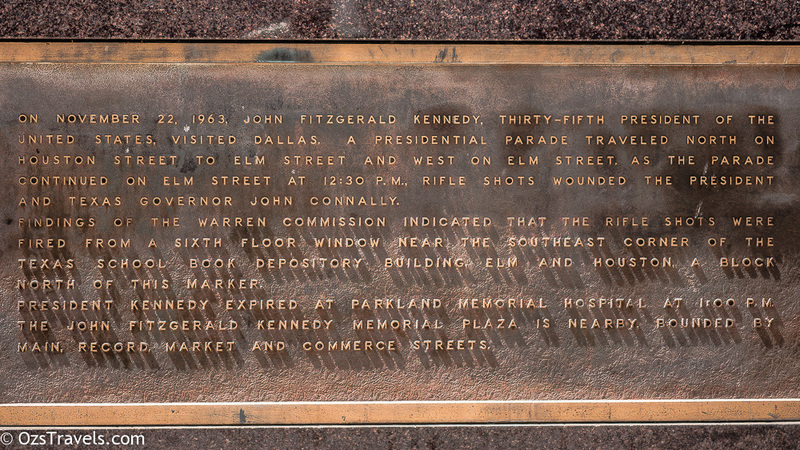 The young President died in Dallas. 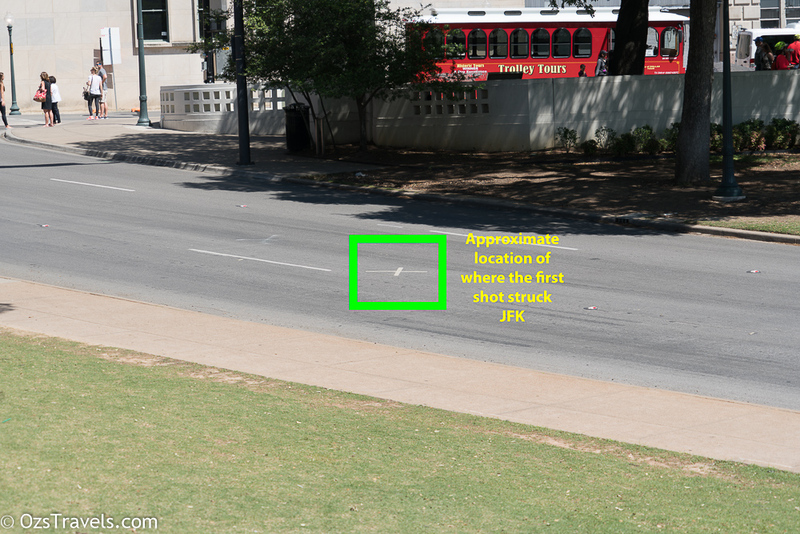 The death bullets were fired 200 yards west of this site. 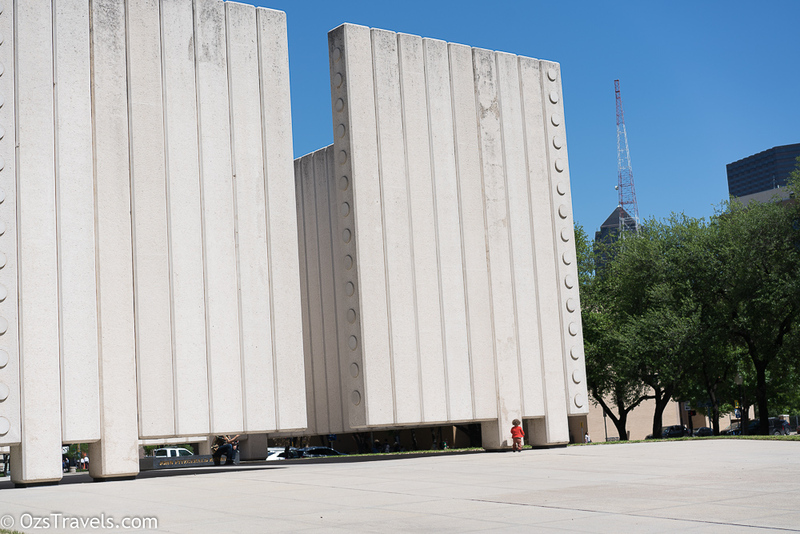 This memorial, designed by Philip Johnson, was erected by the people of Dallas. Thousands of citizens contributed support, money and effort. 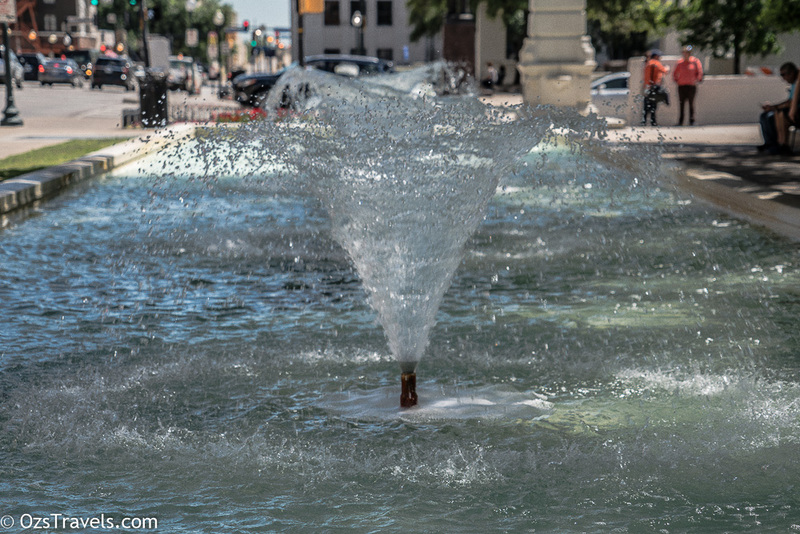 It is not a memorial to the pain and sorrow of death, but stands as a permanent tribute to the joy and excitement of one man’s life. 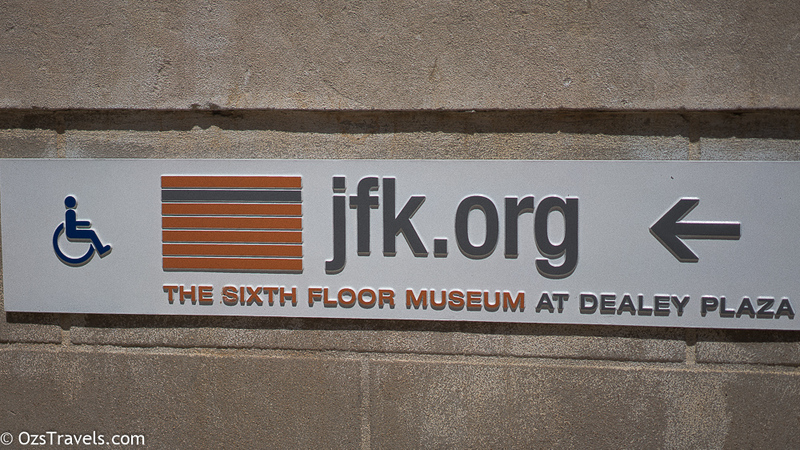 John Fitzgerald Kennedy’s life. 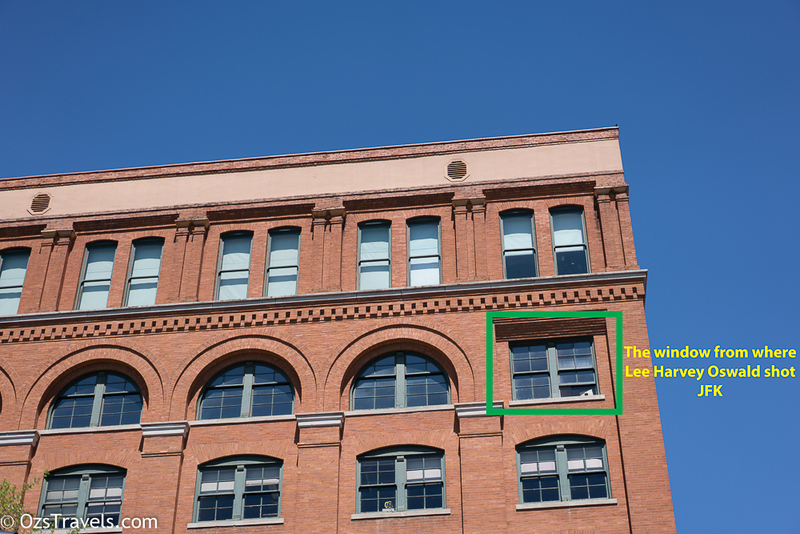 The Texas Book Depository, which now the Dallas County Administration Building, is the site were Lee Harvey Oswald apparently shot JFK from. 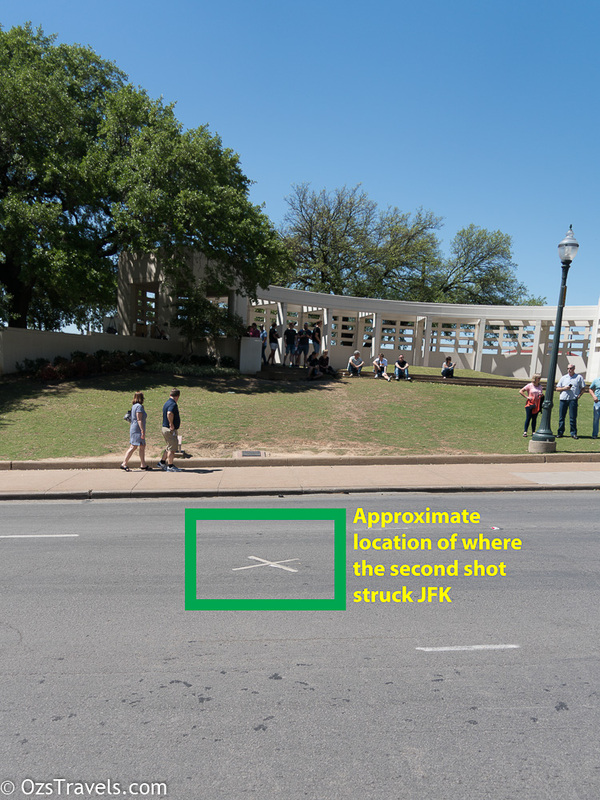 Why apparently, because there are a number of theories that he was a patsy, who did not have the skill to be able take the shots required to hit a moving target from that distance, another shooter on the “grassy knoll” to name a couple of them. 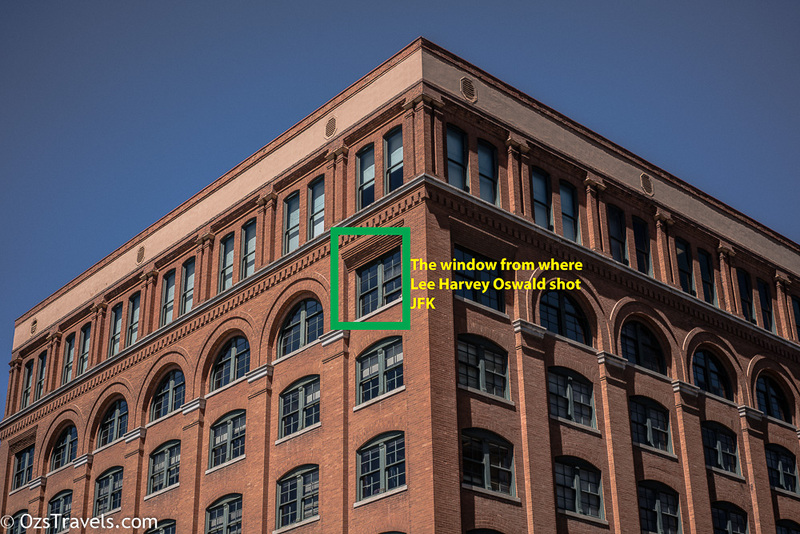 On level 6, the site of Lee Harvey’s sniper perch, is a museum that walks you through the day of the assassination, the investigations, the various theories about why and whether or not Lee Harvey was the actual shooter. 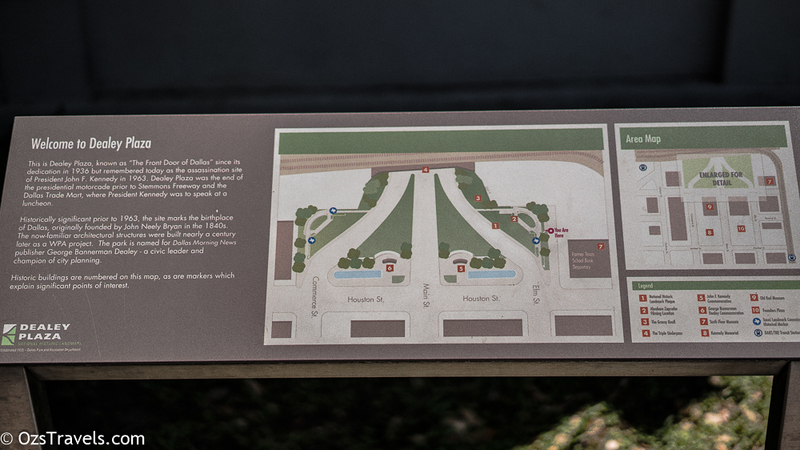 You can also get up close to a scale diorama that was created by the FBI as a part of one of their investigations into the assassination, along with a number of interesting short films about it. No photography is allowed, guess they want to protect their business and not have shutter bugs slowing down the flow of the visitors within the museum. 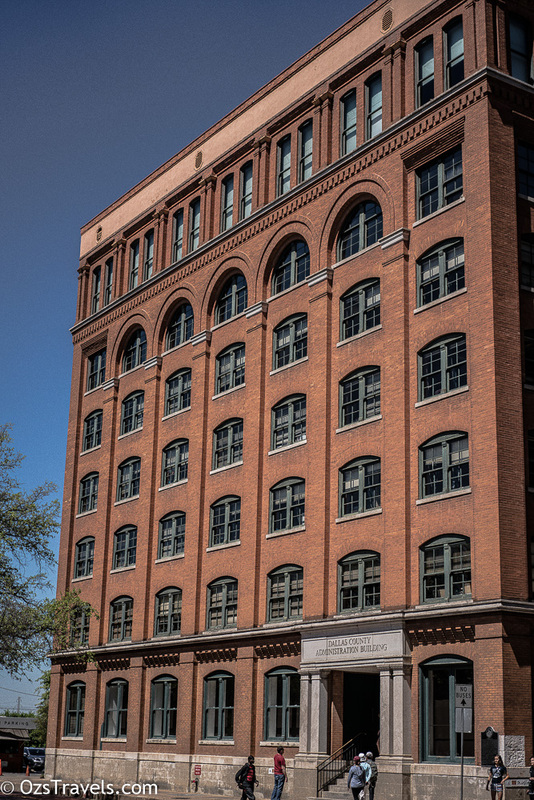 I am glad I did visit as it was definitely worth a visit if you are interested in assassination, which I was, but if you only want to see where it happened, I would not worry about paying to visit the museum. 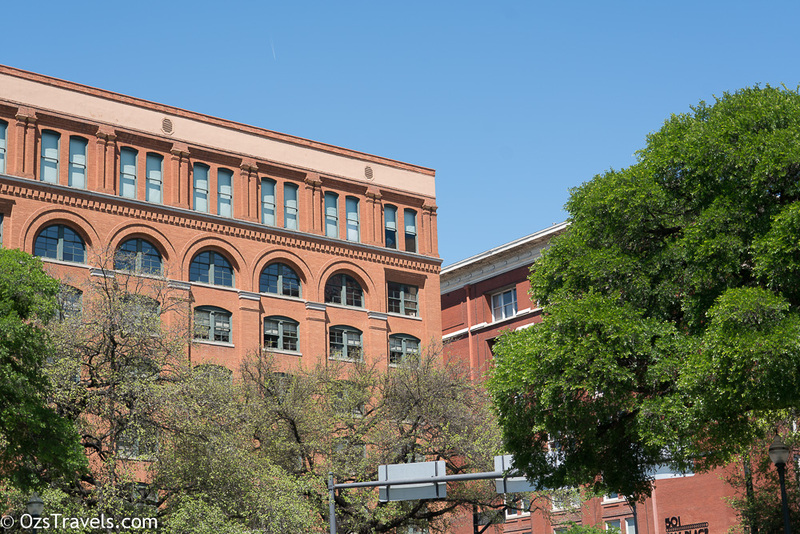 Dealey Plaza is best known as the site of the assassination of the 35th President of the USA, but it is a bit more than just that. 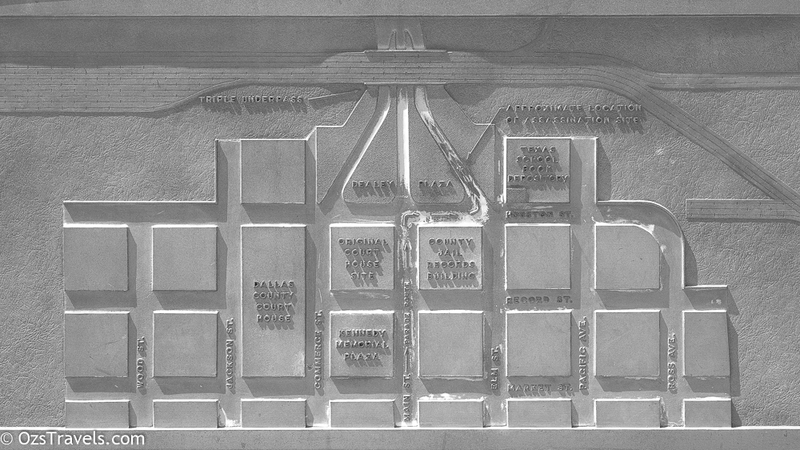 The land was donated by Sarah Horton Cockrell and was completed in 1940 and is the where three streets, Main, Elm and Commerce Streets, converge to pass under a railroad bridge that is known locally as the triple underpass. 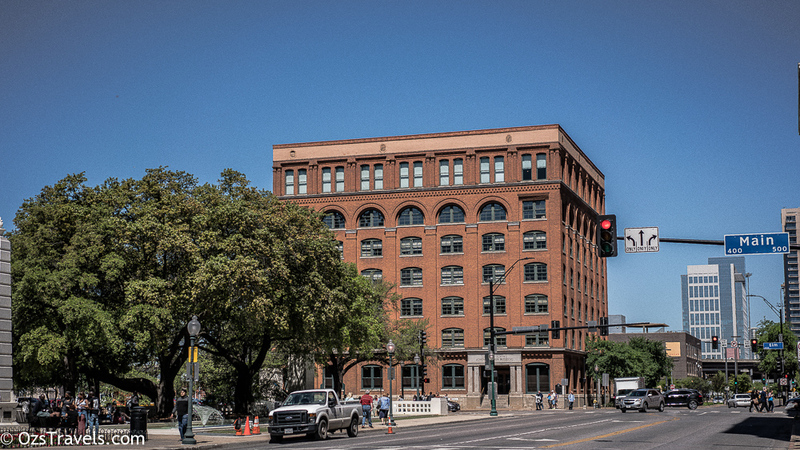 It was named after George Bannerman Dealey who was a publisher of the Dallas Morning News and was a prominent campaigner for the revitalisation of the West End of the Dallas Downtown area. 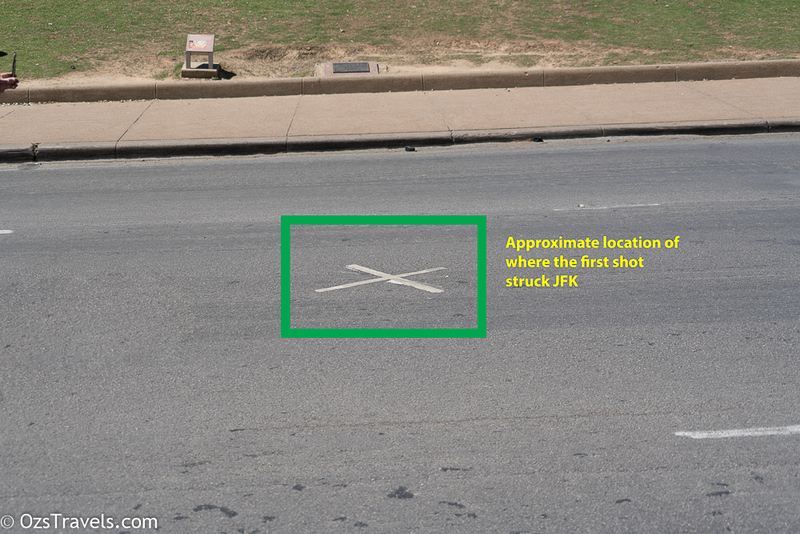 One of the things I noticed whilst exploring the area were the number of people who run onto the road to take photos of the “X” markers that identify the approximate location of where the shots that hit the President, I was fine with taking my photos from sides of the roadway. Wonder how many people get involved in accidents because the are too busy taking photos, luckily none whilst I was there. 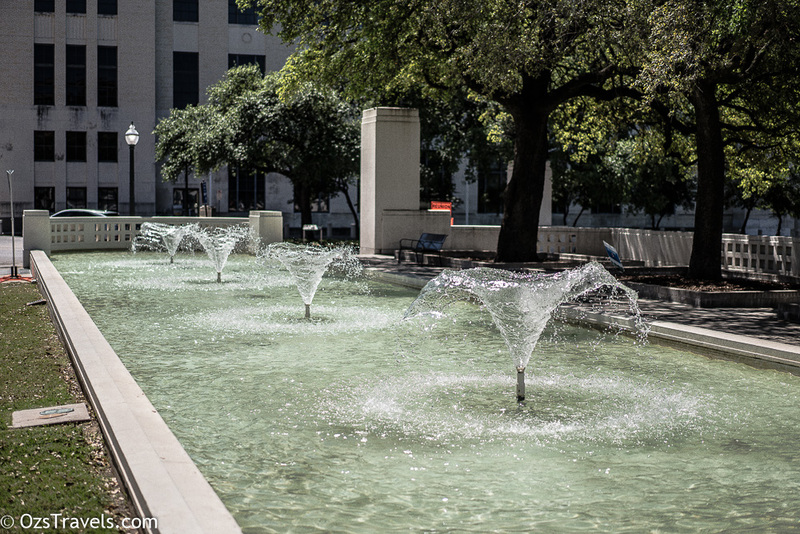 Next up more of my exploration of Dallas Texas, walked around 22kms on the day.